This week’s brewery is a major player in the Japanese craft beer scene. Originally established in 1823, Kiuchi Brewery got started as a brewer of sake (Japanese rice wine). As collectors of rice as tax for the ruling family at the time, founder Kiuchi Gihei used surplus rice to begin brewing. After World War II in Japan, beer, wine, and spirits became popular; and in the 1960s, the popularity of sake dropped below that of beer. Since the 70s, sake production has been on the decline. In 1994, it became easier to obtain a license to brew beer in Japan when the legal minimum output was lowered. Many new brewers appeared—though few would last—and some sake brewers turned to beer to contend with the waning popularity of sake. In 1996, Kuchi Brewery began brewing beer under the name Hitachino Nest Beer, drawing on the methods which they had used to produce sake. In 2000, the brewery became the first Japanese craft brewer to begin shipping their products overseas, starting with the U.S. Nowadays, Hitachino Nest Beer may be easier to find outside Japan than in, with distributors on every populated continent. 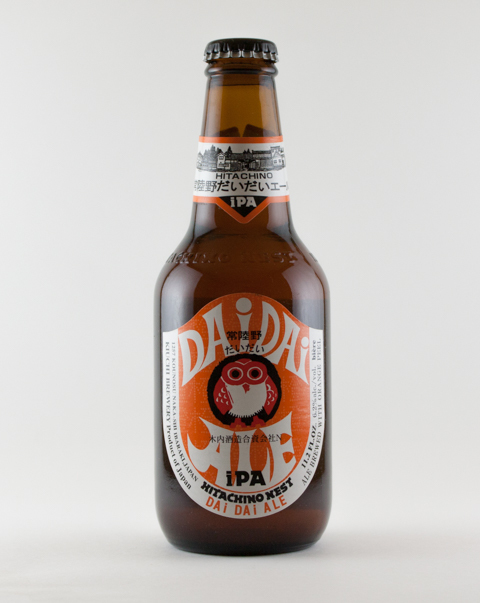 Our featured beer this week is Hitachino Nest Dai Dai Ale, a hoppy India pale ale made with orange peel. The hops used are mild and aromatic Tardif de Bourgogne, a relatively elusive variety from the Alsace region of France. The malt is Maris Otter pale malt, a variety bred in England which for a time enjoyed a reputation as the base of quality, cask-conditioned English ales. 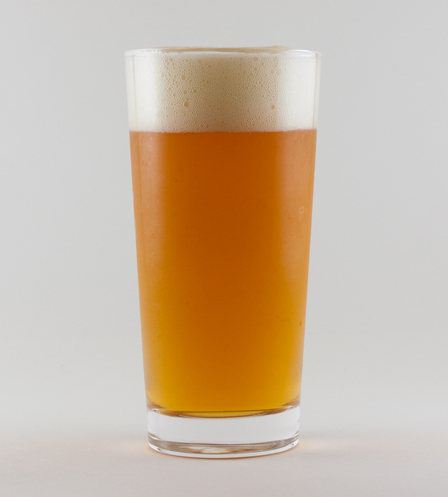 The IPA style itself is derived from English pale ale, which in turn had its beginnings in the mid-17th century and was being exported to India from the late 18th. While English pale ale and English India pale ale are moderately hopped and not markedly different from each other, the American take on the style—especially west coast IPA—is characterized by intense hoppiness. The hop aromas and flavors found in American IPA can be reminiscent of citrus, flowers, fruit, or pine resin. The malt is usually noticeable but subtle. Hitachino Dai Dai’s hazy body is a vibrant orange-ish copper. The off-white head quickly drops but slows down at around a finger’s width. The aroma is overall light: the malt is mildly sweet and crayon-like, and alongside the malt is orange rind and leafy hops. After it warms up a little, some buttery caramel comes through in the aroma. The flavor is surprisingly malt-forward for the style, and the malt is somewhat sweet and very smooth. The citrus flavors and hop bitterness are balanced and complementary. Again, the mouth feel is very smooth and the body is in the mid-range while the carbonation accents the smoothness with a little bite. Overall, Hitachino Dai Dai strikes an interesting balance between malt and bitterness for an American IPA. Normally the bitterness dominates with the malt rounding things out in the background. Instead, the malt is relatively pronounced while the resiny bitterness is only moderate. And while the mandarin orange flavor is nice in itself, I’m glad it’s not too intense, as the use of actual fruit somehow strikes me as a gimmicky shortcut to producing flavorful beer (though there are of course exceptions where the use of fruit is traditional). In the end, there’s enough bitterness to give it at least some of the intensity one usually expects from the style. Otherwise, it’s very flavorful and smooth, making it exceptionally drinkable. I enjoyed the flavor more than the aroma, the latter of which seemed a bit off. This week’s beer was purchased at the Co-op grocery store in Ota, Japan. Their bottled beers can also be found at Yamaya. The brewery recently opened their Hitachino Brewing Lab in Akihabara, Tokyo, where you can enjoy their beers on tap. 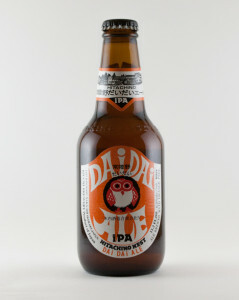 This entry was posted in Japanese Beer, Mad Capper Reviews and tagged Ale, Dai Dai, Hitachino Nest, IPA, Kiuchi Brewery. Bookmark the permalink.